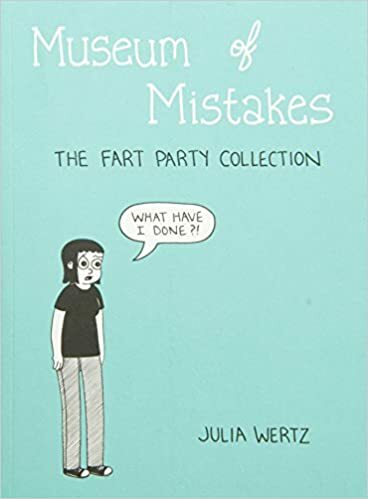 Museum of Mistakes: The Fart Party Collection – loudlatinlaughing – Euge! Euge! Overdosing on Julia Wertz in the best way. This collects her early work from Fart Party which details her relationship with Oliver Trixl before he heads off to law school in Vermont and before she scurries away to Brooklyn. I’ve immersed myself so much in these that I’m not sure which stories were in which collections, but I think this also includes her farewell walks around SF (mostly Chinatown and residential neighborhoods where she wasn’t likely to run into anyone she knew).